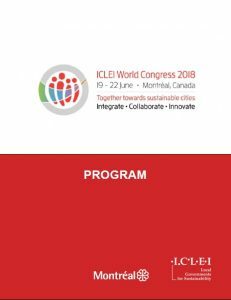 Thanks to the financial support of our partner Fondaction, the ICLEI World Congress 2018 has its own exclusive mobile app, which can be accessed through all devices including tablets, smartphones, and laptops. As a participant you can download the congress app and connect with other attendees during the event. 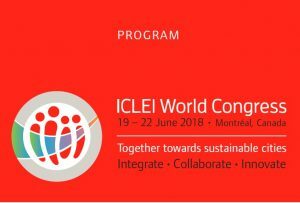 To access the ICLEI World Congress 2018 from the EventMobi app, enter the event code ICLEI2018 for an English experience, or 2018ICLEI for French. Create your individual profile to facilitate networking and shape your own congress agenda. Explore the ICLEI World Congress 2018 day-by-day program on our website! Select the date from the drop-down menu to see the program on each of the four congress days. Click on a session to read its description, as well as the invited speakers. Click on “Table” to view the program in calendar view. Click on “Sort by Tracks” to view the sessions according to the various congress themes and session types. To navigate back to the overview of sessions, use the back button in your web browser. Click here to download the PDF version of the Program!